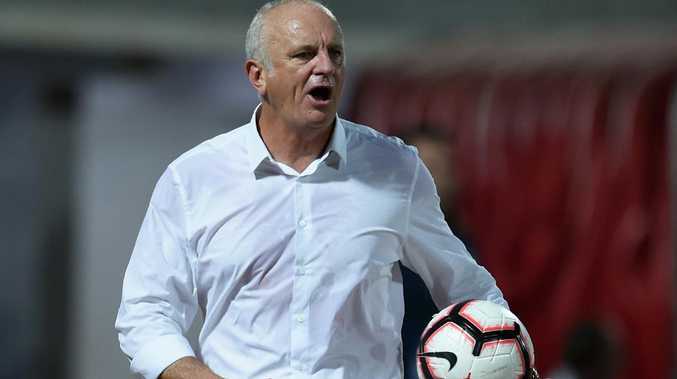 SOCCEROOS boss Graham Arnold refused to get carried away by his side's 4-0 defeat of Kuwait in his first game in charge, delighted by "a lot of positives" but warning of much hard work ahead. An own goal and Apou Giannou's first international goal gave Australia a comfortable 2-0 lead at half-time, the win sealed by strikes from Tom Rogic and debutant Awer Mabil late on. The Socceroos were rarely troubled by a second-rate Kuwait side, still feeling its way after a three-year ban from international football, but Arnold was satisfied by the efforts of his team to follow the new style he has preached since taking the job after the World Cup. 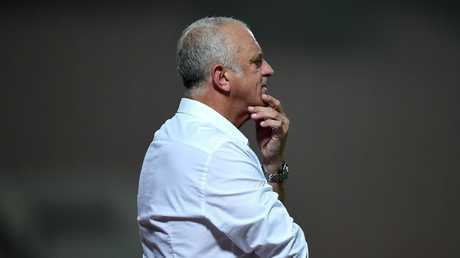 With just two games to go before the defence of the Asian Cup in January, Arnold said his only focus to date had been the team's attack. "There were a lot of positives," he said. "In the short time we've been together I think you can see they've worked hard on the rotations and on the penetration and pressing. "Still we've got to get the icing on the cake and that's the finishing and the goals. "It's all about getting the ball in those areas and getting the men in there. The execution will come. At the end of the day the performance was promising. "They were wrestling a bit with the pitch. It was slow, and you'd go to cross and the ball would stop. The most important thing is they're getting in those positions. "As a coach the most difficult thing is to get the ball into goalscoring positions to score. We did that very well tonight. We have a lot of work to do and I can't wait for the next camp." Arnold lauded the performances of Massimo Luongo and Tom Rogic, the former the immediate beneficiary of Mile Jedinak's retirement having sat out the whole of the World Cup under previous coach Bert van Marwijk. "I can't answer why he didn't play (at the World Cup), that was in the past," said Arnold. "What I can say about the future is that Mass is an important player. "I always believe the No 6 is the most important on the field as they control the game, they control the tempo. They give the ball to the creators, and Mass did a great job. "(Rogic was) outstanding, and in those conditions. He ran for 90 minutes. When you make the boy happy he has quality. He was excellent."